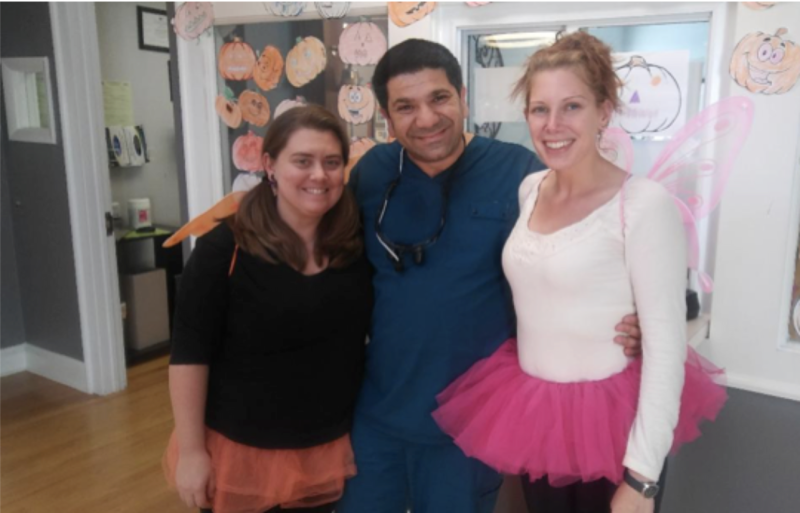 Dr. Shakroo in the center, dental assistants Erin Helmuth and Candace Jenkins. Dr. Michael Shakroo is no stranger to overcoming obstacles in his life. Dr. Shakroo was a successful dentist in his native Iraq, when religious persecution forced him to flee to Syria with his family in 2007. While in Syria, he and his family spent three years as refugees waiting for a response to their application seeking asylum through the Refugee Resettlement Program at the United Nations. He was no longer working at the top of his profession as a prominent dentist in Baghdad; instead he was biding his time, waiting for a phone call that would decide his family’s future outside of Iraq. Many people are granted asylum in countries where they do not speak the local language. Dr. Shakroo was fluent by the time he arrived in the U.S. “I was not even thinking about how to become a dentist again. I needed to figure out how to live and work in another country,” he said. It would be a few years after settling his family and working at a variety of jobs that his path would cross with people from his former life in Iraq. While searching for a dentist in Raleigh one day, Dr. Shakroo found one who appeared to have a name that was Arabic. He reached out to that dentist, Dr. Mazin Aziz, for more information. It turns out that Dr. Aziz’s wife, also a dentist— Dr. Linda Shafik—had been Dr. Shakroo’s professor in dental school in Iraq at Baghdad University College of Dentistry. The couple had faced a similar journey seeking asylum and left the country years before the Shakroos did. With these two dentists acting as mentors, Michael Shakroo learned what he needed to do to qualify for the International Dentist Program and the International Boards to get everything in order to once again become a dentist. 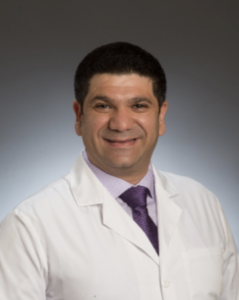 With Dr. Shafik and Dr. Aziz’s help, Michael Shakroo was accepted into the Virginia Commonwealth University’s School of Dentistry in 2012 (VCU), and moved to Virginia to reclaim the profession he once had years prior to fleeing his homeland for safety. In 2015, after two years and one semester, Michael Shakroo graduated from the International Dentist Program at VCU and could return to the profession he once loved so much, many years prior. These obstacles that Dr. Shakroo faced have not dampened his outlook on life. They have only encouraged him to look at the positive. He notes, there are a lot of differences in the way that Americans practice dentistry here in the U.S. and the way that Americans have knowledge of oral health compared to those in the Middle East. Even with that comparison, many patients in the U.S. lack the funds or insurance to pay for the complicated dental procedures they need and often cannot afford. Three days a week, Dr. Shakroo drives an hour each way to Orange, Virginia, to work in the Piedmont Regional Dental Clinic. 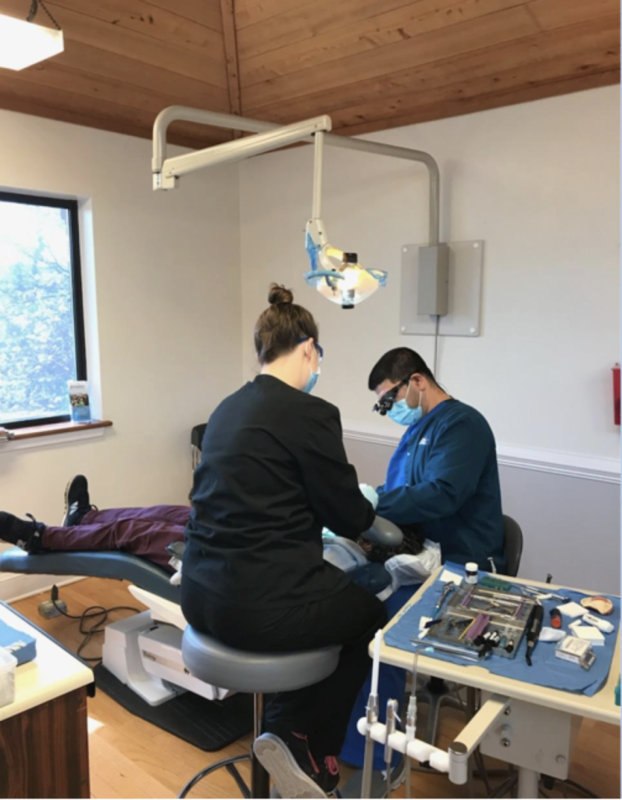 Piedmont is a non-profit dental safety net clinic that receives no state support and 90 percent of its patients either utilize Medicaid for care or are low-income patients without insurance. The clinic’s executive director, Mary Foley, called him a “gifted dentist” whose expertise in oral surgery serves his patients well. “I don’t see myself as so special. I just love what I do, it’s part of who I am. I mean it when I tell my patients that helping them is ‘my pleasure’ to do so,’ ” Dr. Shakroo said. Michael Shakroo held many different jobs before applying to VCU’s School of Dentistry. He worked in a fast-food restaurant, served as a language specialist with an Army contractor, front desk cashier at a motel, worked the front desk in a dental office all just to support his family. He loved being a dentist more than any other job he had done. He was definitely qualified to be a successful dentist overseas, but it took what he calls “his many blessings” to return to his passion and to be able to retrain as an American dentist. Michael Shakroo, DDS lives in Richmond, Virginia, with his wife, three sons, and their grandparents. He originally graduated in 2001 in Baghdad, Iraq, before fleeing the country in 2007. The hope for a peaceful and safe Iraq that one day allows for safe travel for visiting his children’s heritage but not their nationality. He and his family are happy to be considered Americans now and are thankful for the life remade in this country. Dr. Shakroo practices three days a week at Piedmont Regional Dental Clinic working as a dentist providing affordable care for Virginians of all ages and incomes. The other days of the week he remains in private practice in Richmond. A reality check for all of us that thought getting through dental school was a hardship. This man is an inspiration for me and I hope for more dentists, that we are gifted with a skill set that people who need our care can’t always pay for it or get to our offices. I work in a homeless clinic, and trying to get other dentists to volunteer is almost impossible. If each person that reads this reaches out in gratitude and volunteers at a local dental clinic, we would be a better profession for it and people’s lives will be changed for the good. Thank you for such dedication and determination…makes what I do seem like a tiny token. Congratulations and continued blessings on you and your family. Hi, my name is Hyder Jasim. Im a dentist from Iraq. I graduated from College of Dentisty in 2004/ University of Baghdad. I prcticed 7 years there till I moved to the sates in 2012. Then, workers 5 years as dental assistant in KS and MO in all branches of dentistry. I volunteer 3 times in Kansas Mission of Mercy KMOM. I interest in helping people that can’t afford dental care. I live now in Kansas City, MO. Is there to help in your program? May the Lord continue to bless Dr.Michael Shakroo and his family . It is a such a honor to be in a profession where IF we choose we can touch others and give them hope in this life. My practice has always been driven by the goal to “Help others face life with Grace.” If more would reach out and invite “the least of these my brethern ” into their private practice the impact would be amazing on not only the community,but the lives of the dentists themselves.